Get the president into an F-22. Sh!t just got real. Why more people aren’t scrambling for their air force bases to take down the weird alien motherships in the sky is beyond us. But TopWare Interactive just announced that the space simulation title, of which there are very few these days, namely Iron Sky: Invasion will see release on November 9th. 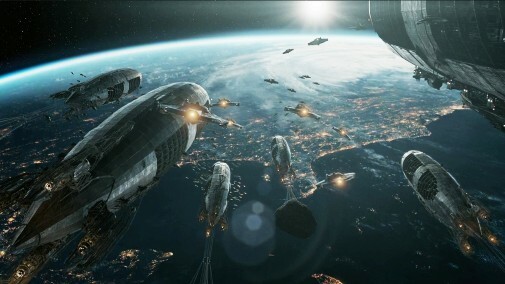 Iron Sky: Invasion is developed by Reality Pump and will release for PC. For more information on the game, head to their site. Then we scramble the raptors and celebrate independence day, goddammit.